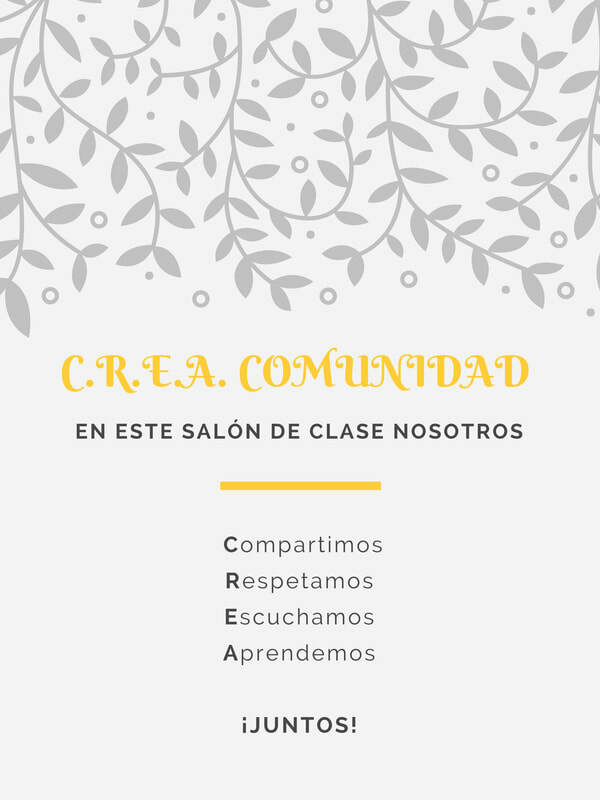 Community Building - Ericka Collado, Ed.D. C.R.E.A. 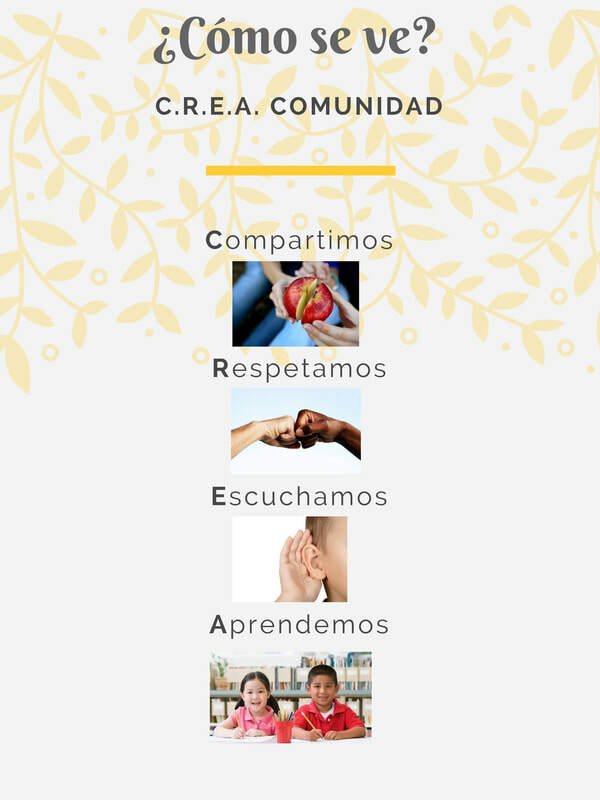 Comunidad (Create a Community) is a code of conduct to help build community in the Spanish classroom. 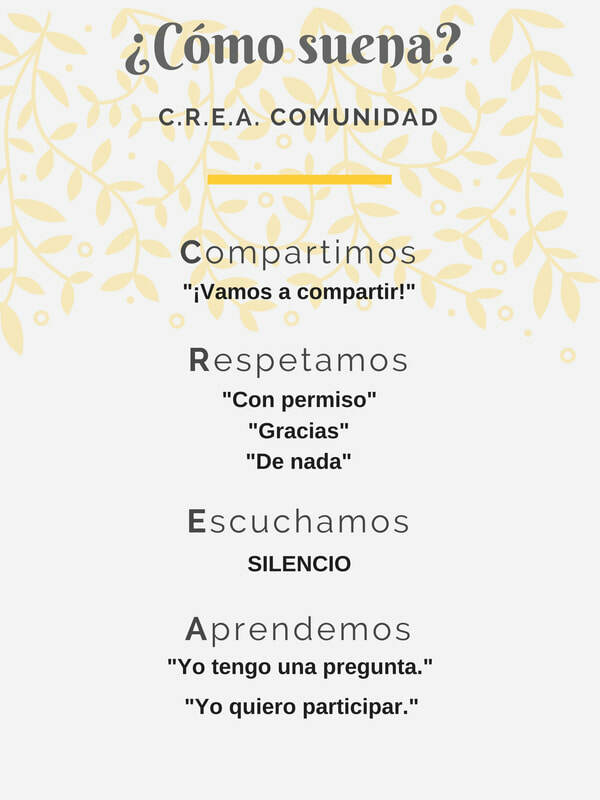 The four pillars are compartimos (sharing), respetamos (respect), escuchamos (listen), and aprendemos (learn) which form the acronym CREA. An introductory lesson was administered using Total Physical Response (TPR), as well as interpretive and presentational tasks. The posters have a foundation in Responsive Classroom and were placed in the classroom to refer back to on a daily basis. The images in this poster represent what C.R.E.A. Comunidad looks like in our classroom. Compartimos is portrayed as sharing food yet it translates into sharing classroom materials. Respetamos implies that we should respect each other despite our differences. Escuchamos reminds us that we must actively listen to one another. Finally, aprendemos shows writing as a learning activity, but it also takes the form of speaking and conversing. This poster represents what C.R.E.A. Comunidad sounds like in the Spanish classroom. Simple phrases were included for each pillar or keyword. The use of these phrases is encouraged daily as a means for students to show that they are exercising good classroom citizenship.